Can you believe that it’s been fifteen years since Tina Fey’s first screenplay, Mean Girls hit theaters? Fifteen years since the world was first introduced to Cady Heron and Regina George. It’s been fifteen years since Gretchen Wieners tried to make “fetch” happen. It didn’t happen. (At least I don’t think it happened.) And it’s been fifteen years since Glen Coco received four candy canes! Mean Girls is a timeless film. There’s really no other way to describe it. It’s timeless, not because it reminds us of better times, but because it reminds us of real times. Everybody can relate to something in this movie. 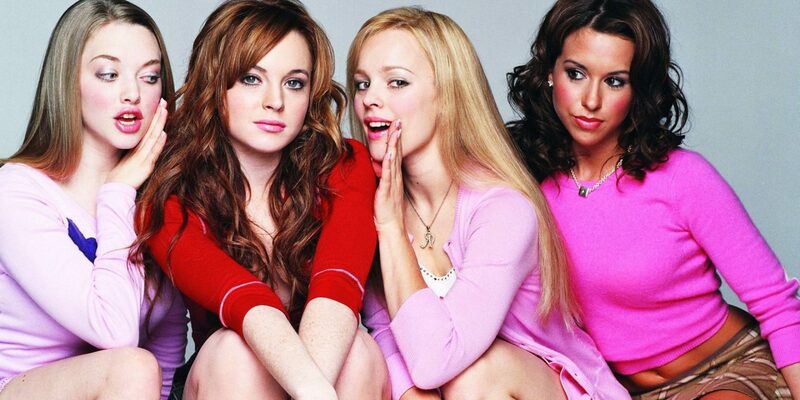 We all knew a Regina George; “the Plastics” were in each of our schools. Heck, they may even be in our offices today. The situations are real. Even as horrible and as awkward as they are, we’ve all been there, or at least we know someone who has. We have all lived it. Mean Girls is a piece of each of us which is why it is so universally loved. It is also why it’s the next movie that Val, Tracy, and Jake discuss. Listen as they talk about why believe that it holds up after a decade and a half. They also share some of their favorite quotes and scenes. There is a lot of laughter and fun involved. Only listen if you’re prepared to enjoy yourself. Do you have any thoughts about Mean Girls that you want to share with us? What about any other feedback or maybe there is a movie you would like us to discuss on an upcoming episode? Let us know at podcast@moviesthatmakeus.com.